If you are crazy about Lego bricks, you should know that you can also purchase Lego board games? You are no longer required to only enjoy building cars and themed sets, but can enjoy Legos in board game format. There is some building needed in order to prepare the game, but with a multitude of variations possible, you are ensured of unique gameplay every time you unload the box. Lego Creator:' 'The Race to Build It: Two to four players select a model to build (which includes different robots and cars) and travel around the board game collecting pieces for their model. The first to build their respective model wins the game. This game ranges in price from $150 to $250 new, but if you don't mind a used version, you can find this game much cheaper. Lego Tic-Tac-Toe: Despite the basic premise of the game, you end up paying anywhere from $50 to $100 for around 40 pieces, but collectors typically purchase this Lego board game for the Lego people. One version includes Cops and Robbers, and another version is Pirates. Lego Chess Sets: Lego has published a few character versions of Chess. These are highly sought after collector's items and many new sets average about $200. There is a Pirates set and a Lego Vikings chess set as well as two Knights Kingdom sets. One Kingdom set is a basic set with 32 pieces to build, but if you want the enhanced set, then you get to build a board, the characters and also a special border that resembles how the medieval tournament games looked with spectators, judges and fences. Lego Duplo Counting Game: For the younger Lego game players, there's a counting game. Using fun colored cards and cute snail and strawberry tokens, you can teach children to count, add and subtract. Games that are more accessible are usually those that have been published recently. Lego Minotaurus: You and a band of players are searching for a secret temple protected by a Minotaur. In order to avoid the creature, you build walls with Lego bricks. An easy game to learn with over 200 Lego pieces and the ability to have a different game with each use. Lego Pirate Code: Each player plays as pirates trying to get the secret codes from one another. Whoever guesses the codes of all the other players gets to become the pirate captain to win the game. This version ncludes over 250 Lego pieces and a buildable Lego Dice. Lego Lava Dragon: As a knight, you are charged with summoning an elusive dragon who lives at the top of the volcano. One problem: other knights are doing the same, and there's lava that's coming down the volcano. You must avoid the lava and block the other knights. With the randomness that the game provides, you'll never have two of the same games. This version includes over 130 Lego pieces. Lego Monster 4: It's nighttime, and you play monster characters and skeletons that you attempt to put four in a row. The first person to do it wins the game. As an obstacle, you have to watch out for spiders. This version includes over 140 Legos. 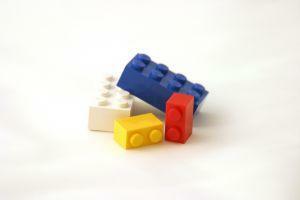 Lego games are fun for all ages and for any Lego master-builders you have in the house. Many of the games provide a different gameplay experience each time you play, so you can be assured of not winning the same way each time.